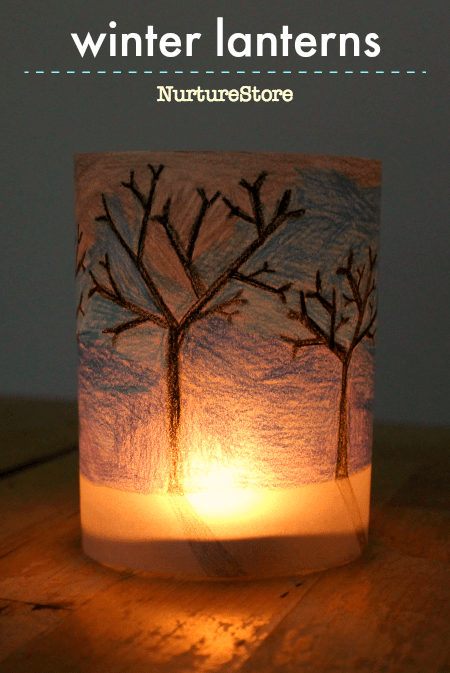 Explore light and dark with this winter paper lantern craft, using cool colors to create a winter skyline or geometric design. 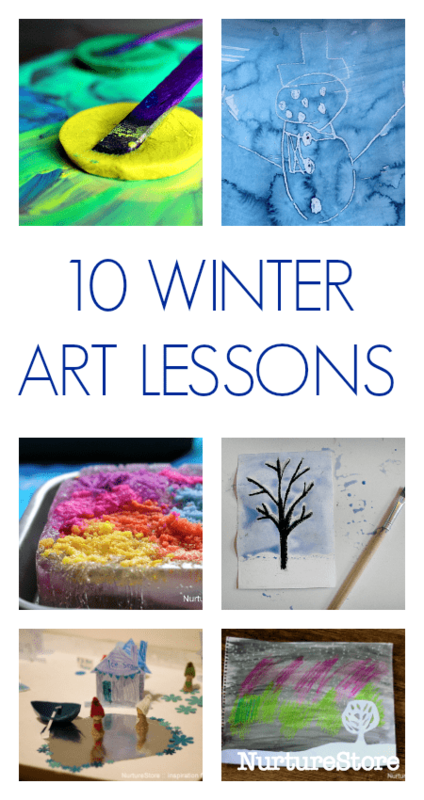 Get creative this season with these ten winter art lesson plans for children. Using easy techniques and simple art materials your children can explore the colours, sensations, and science of the season through art. 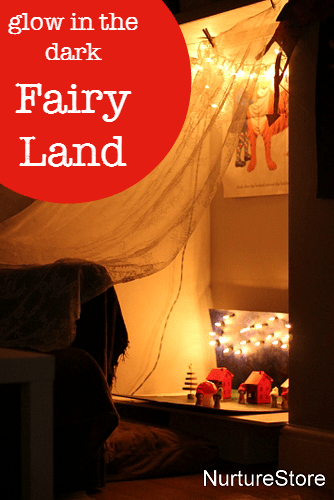 Embrace the dark nights and welcome the winter by using these ideas to make a fairy land light table – wonderful for imaginative, sensory play. 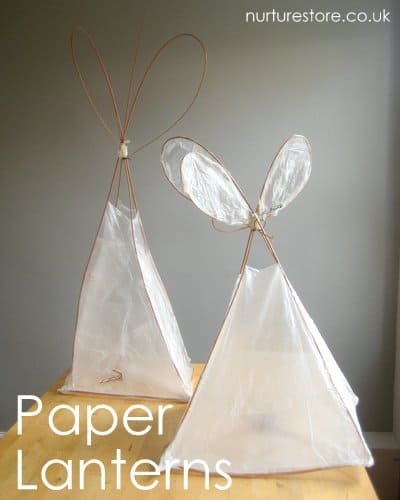 How to make a paper lantern, using a simple willow frame. 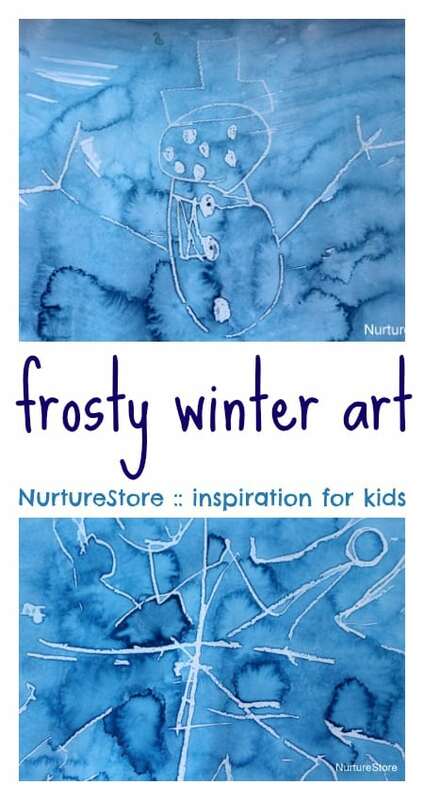 Here’s a super art technique to try with kids that’s just right for winter months: wax crayon water paint frosty pictures. 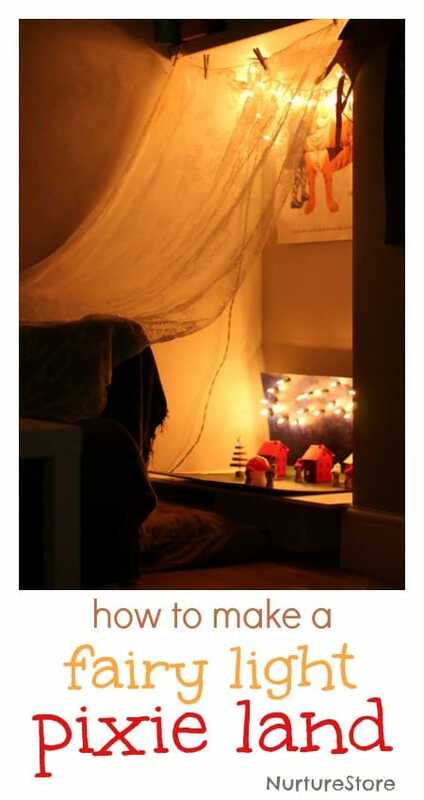 Turn a simple cardboard box into a fabulous Winter Wonderland for lots of creative imaginary play and storytelling. 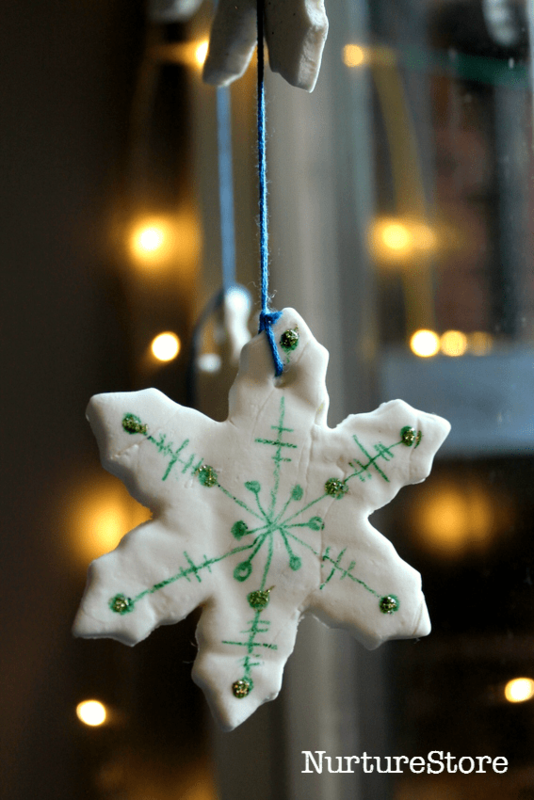 This is an easy homemade white clay recipe that’s perfect for making a snowflake mobile. Add glitter for extra sparkle!